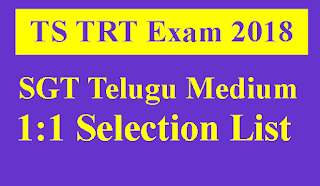 TSPSC Conducted TRT 2017 SGT Telugu Medium Exam and Released Key, Result, Merit List and 1:3 Selection List and Conducted Certificate Verification of Secondary Grade Teacher(SGT) earlier. Now TSPSC is Released SGT Telugu Medium 1:1 Selection List Of Teachers Recruitment Test (TRT 2017) of Secondary Grade Teacher(SGT) Urdu Medium. 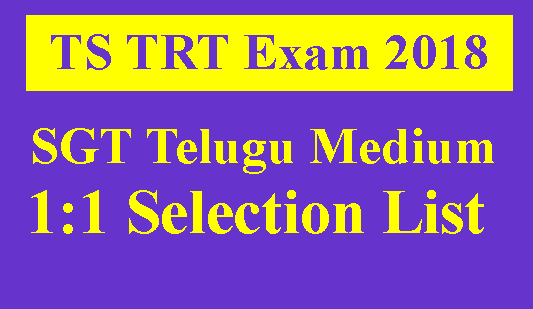 Keep Visiting This Page For Latest Information about TSPSC TRT SGT Urdu Medium 2017 1:1 Selection List/Selected Candidates List 2018. 7) In compliance of Hon’ble High Court orders in W.P. 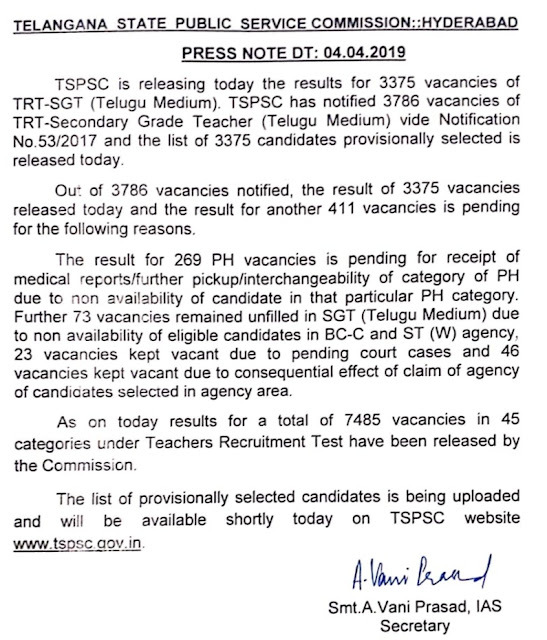 No.27211 and 44467 of 2018 an expert committee was constituted to examine the disputed questions numbering 14(Fourteen) and report was submitted to the Commission based on which no more changes were made in the General Ranking List already published by the Commission.